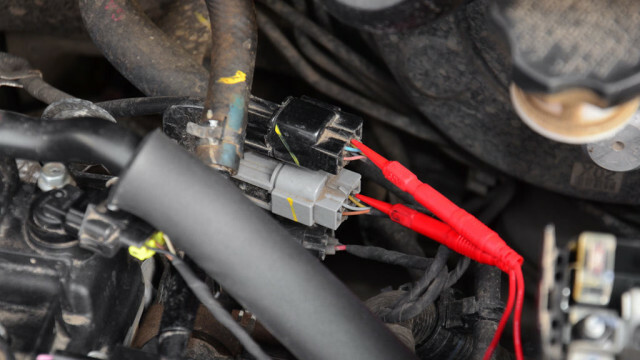 Typical location of the O2-sensors connectors. 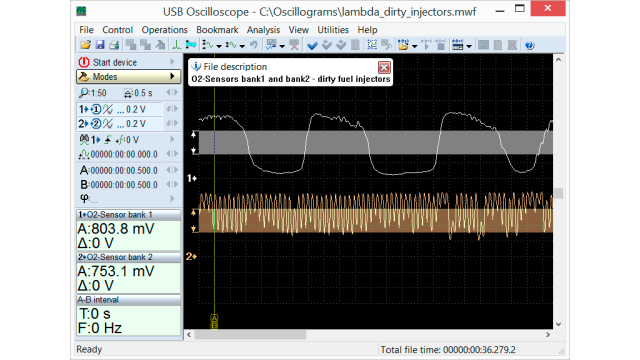 Connection of the USB Autoscope IV to the sensor signal wires. 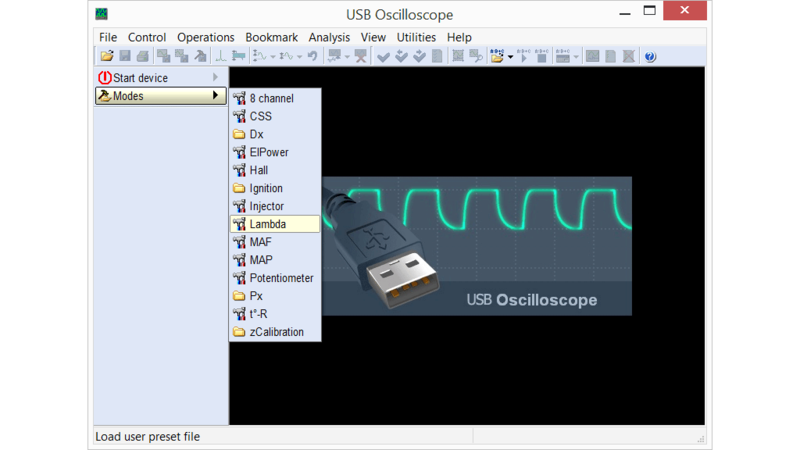 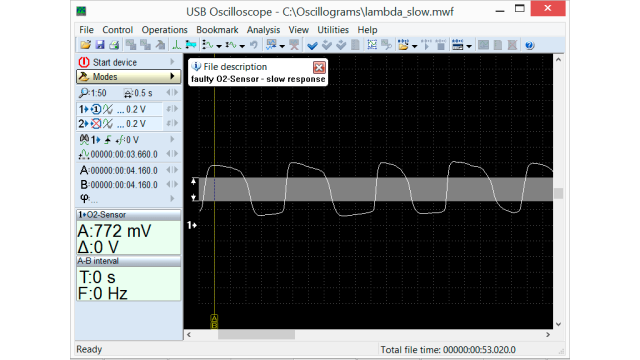 Setting the USB Autoscope IV to the O2-sensor testing mode. Output voltage waveform from a conventional narrow band O2-sensor “Zirconia” or zirconium dioxide in good condition on Opel Vectra C 2.2 2006, recorded while the engine was at idle. Output voltage waveform from a conventional narrow band O2-sensor “Zirconia” or zirconium dioxide with a very slow reaction rate. The waveform was recorded while the engine was at idle. Output voltage waveform from a conventional narrow band O2-sensor “Zirconia” or zirconium dioxide ) in good condition on a car in bad condition (injectors are very dirty), recorded while the engine was at idle. 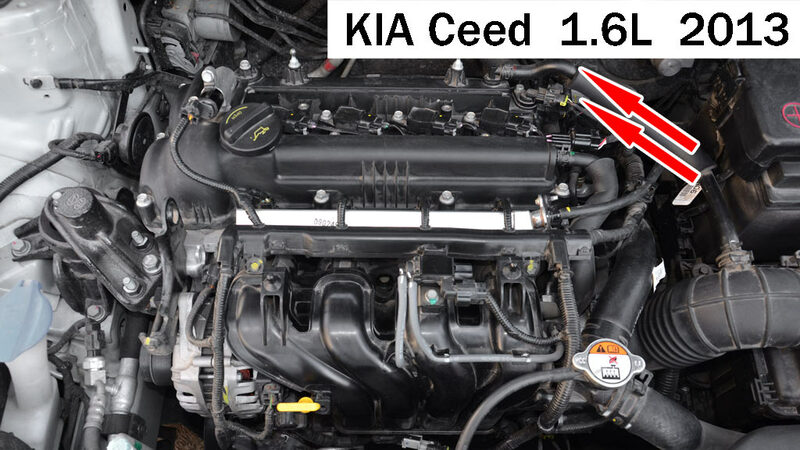 The distortions of the output signal of the O2-sensor from the bank 2 cylinders are caused by uneven air/fuel ratios in the various cylinders in this group. Output voltage waveform of the “Titania” or titanium dioxide O2-sensor in good condition, recorded while the engine was at idle.